June 5,2010. Pilipinas Got Talent Semi-Finals round. It was the 6th and last of all semi-finals. 6 semi-finalists battled against each other for 2 remaining spots at the grand finals. I watched the live competition and disagreed with the female judges’ comments on Imusicapella. Kris Aquino says that unlike the other group Baguio Metamorphosis, the boys in the group levelled up with their performance. But Imusicapella’s female members were outstaged by the male members. I totally disagree with this statement. First, I have nothing against Baguio Metamorphosis, they are indeed excellent in what they do. Imusicapella’s dance routine is Unison (Male and female members are doing the same steps in the dance), If she’s referring to the vocal talent, It is so not true. Their conductor Tristan Ignacio is very detail oriented and pays way too much attention to stick-outs (it means one voice sings louder than the rest of the choral singers). Therefore, they are rehearsed to sing the piece according to it’s arrangement. Everybody Dance Now is a piece where most of the lyrics are tied to the female voices while the male singers only hummed the bass part with no lyrics. And because the bass part is the lowest voice, if you don’t pay that much attention to the performance, you may not hear the bass singers. And Imusicapella as a group is battle tested, they are well aware that if one singer sings too loud, it is not gonna sound nice. Ai-Ai delas Alas says that the boys were great but the female soloist in the Diva Dance part was a little sharp. AiAi can sing but I don’t think she heard the aria part right. The last note was hit as it should be. It was precise. The male Judge Fred FMG Garcia, on the other hand was very objective with his comments. It is true that what Imusicapella did was 3x difficult. First, Singing in the right tone, second, dancing, and third, singing with no canned music or accompaniment. It is hard to sing without accompaniment because the song has to start in the right pitch. If the singers sing the first note a little higher than the right note, the soloist may not be able to hit the highest note because it will be too high for her range. It is hard to sing while dancing because dancing changes a person’s breathing pattern. Once the breathing changes, it will make it difficult to sing. I would also like to give credit to the musical arranger of their piece John Pamintuan. Everybody Dance Now is mashed up with Diva Dance from the movie The Fifth Element, I must say it’s genius. How can the judges not appreciate that? Maybe they just have different tastes in the cultural form of entertainment, or they have no taste at all. Anyways, they are the judges and they are just doing their job. Look at the set of grand finalists, I only liked a few of them, Alakim, Baguio Metamorphosis, Jovit, and Velasco Brothers. Ezra band? I know one acoustic band that would make Ezra Band tumble. They call themselves Frappe Band. I stubled in to their Band leader Chris Obana. I saw their amateur videos in youtube and man, they are as good as recording stars already. Their vocalists have very melismatic voices. Let me give you one of their videos. Anyone who knows good music will agree with me that they are way way better than Ezra band. See what I mean? I am definitely a fan of this band. I have always appreciated music. Choral singing is like the most artistic form. It is raw talent at it’s best. Imusicapella raised the bar for choral groups in the country. They did what no other choral groups dared to do. I would also like to mention this. The kind of dancing that they did is only seen on America’s Best Dance Crew. They have a lot of groups that specialize on these Tuttings like the most recent champion Poreotix. 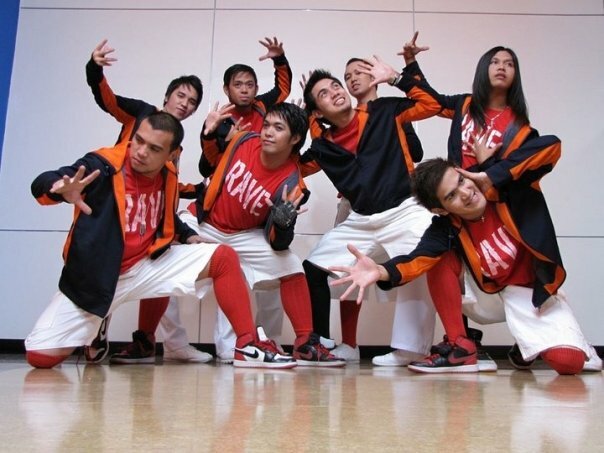 Thank’s to Imusicapella’s very talented choreographer Irwin Samson of the Teletech Bacoor Rave Dancers. He is pure genius, If you are a dancer, you would have noticed that there are 2 knds of tuttings in their routine, the new school and the old school tuttings. They also did some steppin. 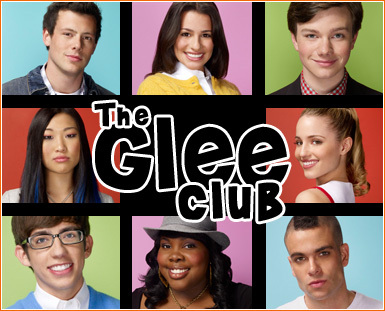 If you watch TV, one of the most popular TV series in America today is Glee, where our very own Charice Pempengco is casted in their next season. Yey!! 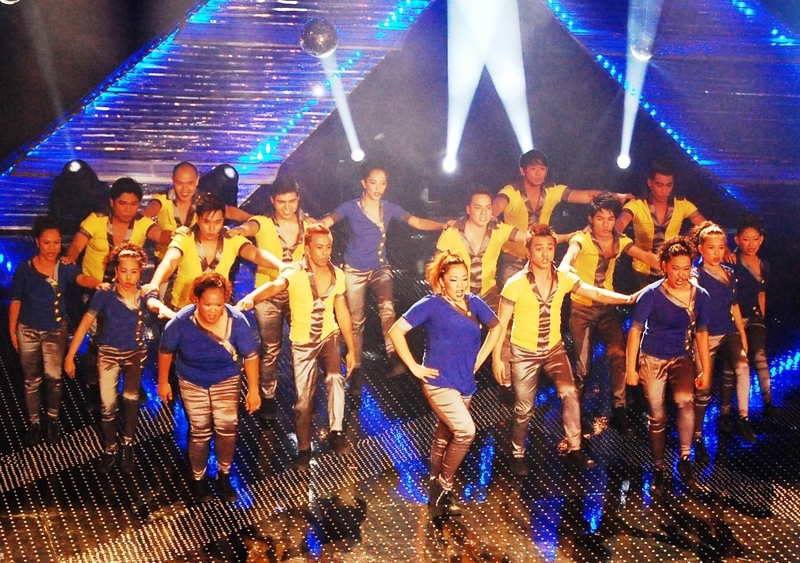 What they do in glee is similar to what Imusicapella did in their Pilipinas Got Talent auditions and the semi-finals. Their greatest competition in Glee is the Vocal Adrenalin. They sing very well and they dance like profesional dancers in Brian Friedmans jazz masterclasses. But personally, I don’t believe they can really dance like that and sing effortlessly. Their music is recorded I bet. I hope their scouts notice Imusicapella or Frappe Band and invite them as guest competitors in Glee. That would be awesome. They deserve a spot in the show. Just look at their performance, it’s live. No cuts, no second or third takes. If they can do it live, they can definitely pull it off in a taped performance. come on Fox channel. There are a lot of unseen talents in the Philippines. I hope some very powerful people in the entertainment industry notices and gives them the big break they deserve.